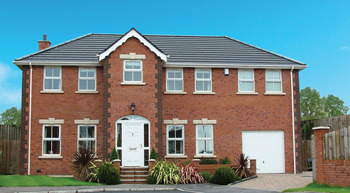 Ashfield Manor continues to be a flagship development of Boland Reilly Homes Ltd., one of North Down’s most established house builders with over fifty years experience inNorthern Ireland. Ashfield Manor offers truly luxury detached family homes on a beautiful established site, bordering the green belt and rolling County Down countryside, yet never too far away from the town. Each home offers an impeccably designed interior layout and will be finished to a superb specification, reflecting the developer’s intention of continuing the tradition of making excellence their standard. This includes an unrivalled turn key finish where no expense and attention to detail has been spared, to create homes which are something special. The impressive designs at Ashfield Manor echo the past, with high ceilings and elegant bay windows reproducing the trademarks of traditional quality house building, and also look to the future, with all the most desirable features of newly built homes essential for today’s modern lifestyle.